The single is released TODAY (July 20th 2018) and will also be included on Carly’s forthcoming album ‘Live At Cadogan Hall’, released August 24th 2018 on ABIAH Music. ‘Alive, the fire in our heart will never die. A choir formed of members of the Armed Forces who have been affected by their service have teamed up with classical star Carly Paoli on her latest single ‘Liberty’. The Invictus Games Choir, who feature on the track, are a community choir for serving and veteran personnel from all services, who are wounded, injured or sick, to help them in their recovery. 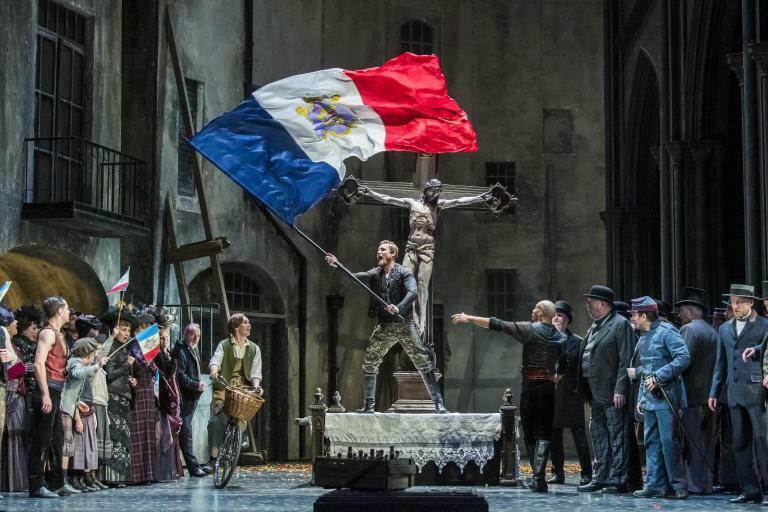 Supported by Help for Heroes, the Choir’s rehearsals and performance opportunities build confidence and provide a creative outlet to help support the choir members. 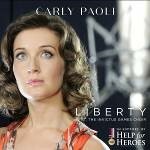 The choir have now been given the opportunity to sing on Carly Paoli’s latest single ‘Liberty’. The song is written by the Grammy Award winning songwriter Walter Afanasieff whose many credits include hits for Celine Dion, Barbra Streisand and Mariah Carey. Featuring The London Symphony Orchestra, the song was recorded at Abbey Road and Strongroom Studios. 12 members of the Invictus Games Choir are featured on the single including Sue, a retired Senior Royal Navy Nurse. Sue sustained multiple fractures in an accident during service in 2009, since injury she has built her strength again through sport and rehabilitation and gone from being in a wheelchair to now walking on crutches. As well as being released as a standalone single, ‘Liberty’ will also feature as the bonus track on Carly’s forthcoming album ‘Live At Cadogan Hall’. Recorded in February 2018 in London, the album features live renditions of songs from Carly’s debut album ‘Singing My Dreams’ as well as a selection of songs from across the musical spectrum. Conducted by the Grammy award winning Steven Mercurio and featuring the world renowned flautist Andrea Griminelli, the 65 piece Abiah Symphony Orchestra and the winners of the BBC’s Songs of Praise Choir of the Year 2016, Tring Park 16 the concert received a glowing 4 star review of the concert in the Mail on Sunday, from Classic FM’s David Mellor, under the headline ‘Nobody does it better’. For a review of Carly’s recent Cadogan Hall concert click here. Updated 1 June 2018: Rising classical singer and lyricist Carly Paoli has been shortlisted in the first ever Sound of Classical poll, with the winner to be revealed at the Classic BRIT Awards on June 13th. 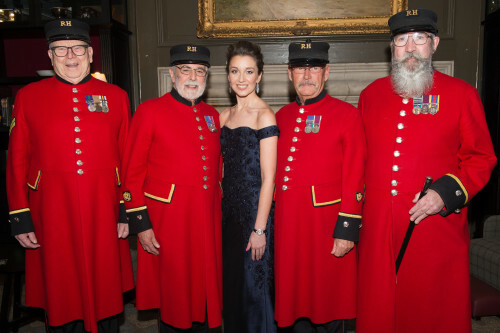 Carly Paoli, the rising star of the classical music world, performed a special concert for the Chelsea Pensioners on Friday 26 January 2018. The private performance, which took place in the Pensioners’ Club at the Royal Hospital Chelsea, was a special preview of Carly’s forthcoming concert at Cadogan Hall on 15 February 2018. Having performed at some of the world’s most iconic venues, including Carnegie Hall, the O2 Arena and the Roman Forum, performed her debut UK headline concert at Cadogan Hall, in Chelsea, on 15 February. For Seen and Heard’s review click here. In April 2018 Carly Paoli has been signed to Sony/ATV, as part of a deal struck between the world’s No.1 music publishing company and the independent publishing and record company ABIAH. The deal covers London-based ABIAH’s entire song catalogue, including songs by Carly and celebrated composer, arranger and conductor Romano Musumarra which feature on Carly’s highly-acclaimed debut album Singing My Dreams.